One of the best parts about running the Literary Sofa over the last five years has been getting to know my guest authors. Some I knew already, most of them I didn’t at the time they were featured but in many cases we have since met in person, by arrangement or by chance. But today is the first time I’ve hosted someone who has had a game-changing impact on my own journey as a writer (it feels premature to call it a ‘career’), which makes introductions rather tricky. Gushing isn’t even my style and I am tempted! These days, there are more ways to publish your novel than ever before, from the trade route via an agent and a deal with one of the Big Five publishers, through smaller independent publishers (Bookouture is the name on everyone’s lips right now), to self-publishing, crowd funding through Unbound … The list of business models seems endless and choice can only be good for authors. I wasn’t surprised when I wasn’t offered a subsequent deal by Orion but by that time I had an agent, at least. I had already written De Nada Nirvana but he said it would be impossible to sell the third book in a trilogy to a different publisher. He advised me to keep writing more novels in the Nirvana series. Sadly, even though he liked each better than the last, he was unable to sell them. I then wrote a stand-alone novel, Somebody’s Child. He absolutely loved this story and said the kinds of things every author dreams about – only he couldn’t sell it. Everything stagnated on the authorial front but, meanwhile, I was more than busy with my new career as a freelance editor, mentor and creative writing tutor. I may not have been able to bring any more of my own novels in front of readers, but it was a joy and a privilege to be a part of so many other authorial journeys. I was running a 6-week online self-edit course for Writers’ Workshop, appearing at writing festivals and running workshops at retreats. I had no time to feel sad about my own stories gathering dust. In 2013, I was approached by an independent American publisher who offered to re-publish Nirvana Bites and Trading Tatiana as e-books. Although I was excited at first, it soon became clear that being with them offered me no added value whatsoever. I withdrew from the contract and the rights reverted back to me. And that’s where it all gets exciting again! 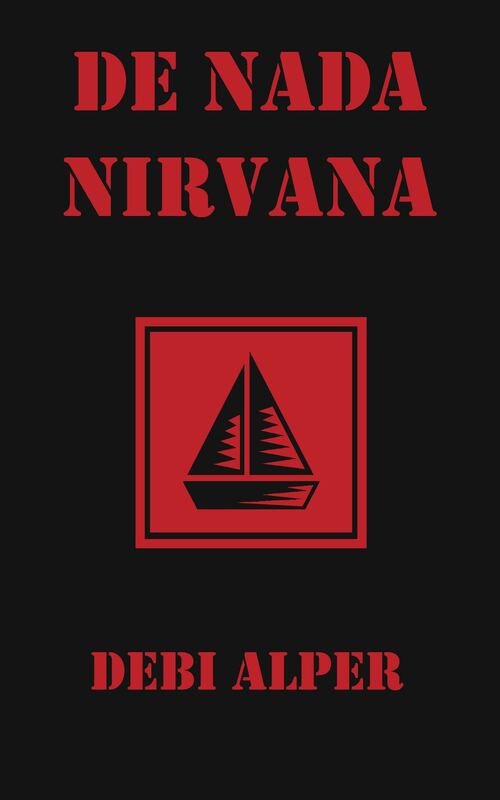 I saw this as an opportunity to publish the whole Nirvana series. Times had changed and self-publishing had lost much of its original stigma. My agent was initially reluctant but had to agree that this was the only way to bring the unpublished novels in front of readers. I was lucky enough to be supported and encouraged by many in the writing community whose own journeys I had been involved in. And it also meant that I could create a ‘look’ for the whole series. I formed my own imprint, Nirvana Publishing, swapped an edit for professional cover designs and e-conversion, and re-published Nirvana Bites and Trading Tatiana. Then I turned to edit De Nada Nirvana, which was published on Mayday this year. Editing books I’d written ten years ago has been fascinating. I’d switched to third person after the first two and I can see now that, though I had an instinctive grasp of first person voices, I had much to learn about how POV works in third person. I was delighted to see that I’d used the psychic distance spectrum long before I’d ever heard of the concept. Writing is a combination of instinct and learning and I have learnt so much over the last decade. Next up will be Me, John and a Bomb, followed by the last in the Nirvana series, The Gene Pool. We live in the best of times and the worst of times. There are more options than ever before for getting our stories out there. There are also more ways for us to hone our skills, some of them free – literary blogs, forums and beta readers – some costing more, like festivals, courses, and professional critiques. It’s a good time to be a storyteller. And it’s pretty cool for readers too. Thanks to Debi for sharing her extensive experience as an author (and editor) on the Literary Sofa. For me her piece reinforces the importance of having a resilient and flexible attitude and a willingness to diversify. I’d be very interested to hear from the writers amongst you about the various avenues you’ve taken. And since we’re all readers – does a book’s route to publication matter to you? LET’S TALK! Next week my guest will be James Terry with a fantastic Writers on Location piece about his home state New Mexico, setting for his historical novel The Solitary Woman of Shakespeare (Sandstone). Resilience and flexibility…certainly things that come in handy as a writer trying to get your writing published and marketed. So far, I’ve been part of anthologies created via CreateSpace; done some vanity publishing, but under the name of an established publisher (I was an experiment for them as they usually deal in local history) AND I’ve been indie published. On top of that, I’ve given workshops and talks and attended craft fairs to sell my own books. I don’t think it matters what route you take, as long as you are absolutely certain that your product is the absolute best it can be and you’ve had it beta read/edited by others who you respect and admire and who will be honest. And like you, Isabel, Debi’s played a significant part in my journey, too! Lovely piece Debi and Isabel, thank you. I’m just so grateful that self-publishing has become a realistic option. I’ve gone down that route with my second novel, and I have to say, it’s been a fantastic experience so far. Of course I’m incredibly nervous about how the book will be received, or even if it will be received! – but I’ve learned so much about myself as a writer that it will be worth it, no matter what. I love the creative control, it’s fantastic. I think a couple of years ago I wouldn’t have dreamed of self-publishing, but once the honeymoon period is over with trad publishers (and boy, is mine over!) it’s so good to know the option is there and it’s becoming more and more valid. Exciting times!